Swan Carousel Music Box Just $23.94! Down From $50! You are here: Home / Great Deals / Amazon Deals / Swan Carousel Music Box Just $23.94! Down From $50! Your kids would surely love this! 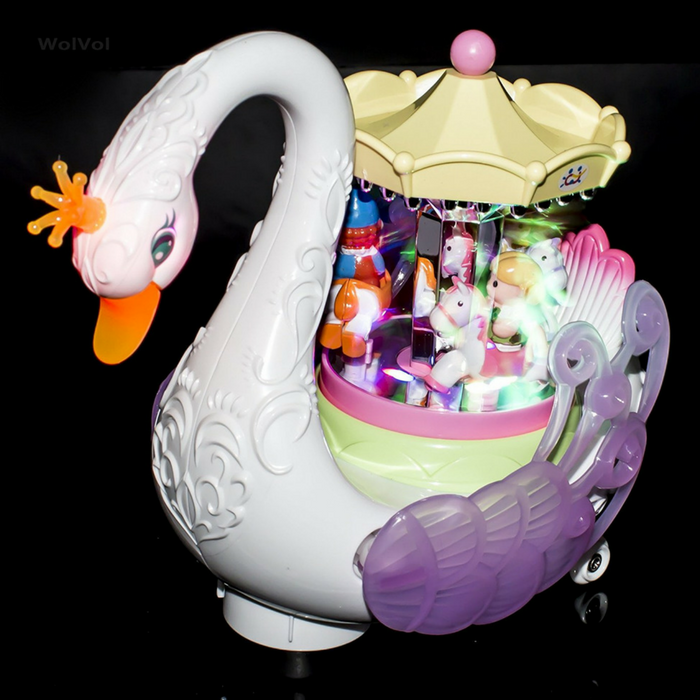 Amazon is offering this Swan Carousel Music Box for just $23.94 down from $49.94 PLUS FREE shipping with Amazon Prime or for orders $25 and above! Surprise your little ones with this WolVol stunning entertaining Carousel Music Box. The horses will rotate and go up & down while the music sings along and at the same time the Swan will ride around the house going on its own. The child will be mesmerized by all the lights, music, and moving parts. Let the children imagine as if they are at the amusement park. Great gift idea for children ages 3 years and up.